When I was 16 I started driving lessons – lets not dwell on how long ago that was, lets just say its a distant memory! The lessons went well and I was confident behind the wheel but terrible when it came to exams, any kind of exams and driving ones proved no different. I failed my test twice but that didn’t stop mum and dad for buying me a mini for Christmas one year. It was a used one and needed work, simple stuff like replacing the bulbs and car battery replacement, nothing major but it was mine. Dad would take me for lessons, well until i rounded one corner on two wheels narrowly avoiding a head on collision with a truck. Personally I think that was testament to my driving skills but he was having none of it and turned a funny shade of green before getting out of the car and vowing never to get in with me again! That little car was my symbol of freedom and I made so many plans of what I would do and where I would go when I eventually passed my test. I can just imagine if I had social media back then, it would be a constant on my Instagram feed just like many others. Tire city have created an infographic on how to photograph your car like a pro for your instagram feed. 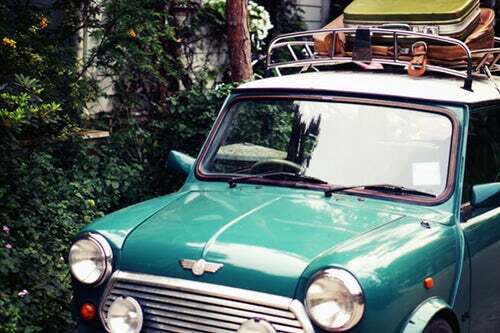 The mini doesn’t even appear in the top 10 most instagrammable cars – how different might this have been *cough* all those years ago! Unfortunately I failed my test a third time the following year and threw my hands up, terrified, not of driving but of the test! I am fine behind a wheel if its just me on the roads, its everyone else that makes me nervous and throw in the mix someone sitting beside me judging my every move – that’s never going to end well! My little mini took a trip to a new home and I never saw her again. I’m still not good with tests but really do feel the pull of learning to drive again….4th time lucky?